Magnum Flashabou We are Your only Source for Magnum Flashabou! We Stock all 62 colours. 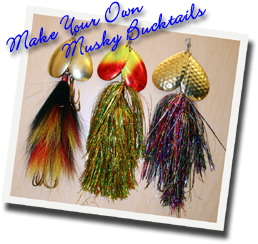 Easy to tie, looks amazing in the water and catches BIG fish! 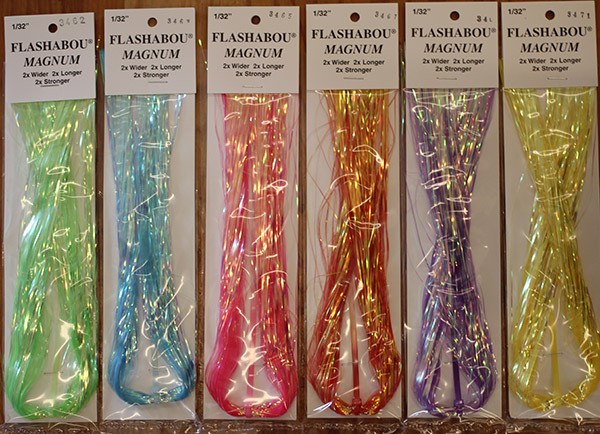 We all know how great Magnum Flashabou (also called Musky Tinsel) is on your musky spinners and salmon flies. Ideal for dressing trebles, in-line spinners, spinnerbaits, salmon flies and other lures. 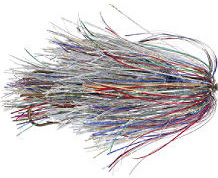 Overall length is 20 inches long x 400 strands x 1/32" per strand. This is our most popular Flashabou. This is the same as found on the expensive in-line bucktails out there. Easy to tie and looks great in the water. 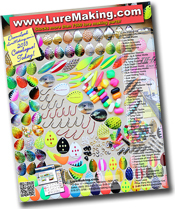 Easy to combine with other colors to make lures just like the pros, and it's a lot cheaper when all said and done. Each package has enough material to tie two extra large 10 inch skirts on coils, which is what your would use on one double 10's or double 12's in-line Magnum spiner or two double 7's or 8's Magnum in-line spinners. Tie onto our 1/2" magnum coil springs. 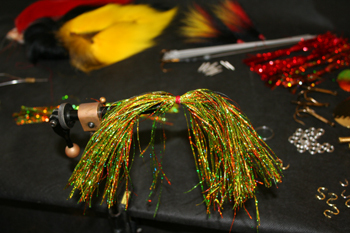 If you are tying salmon flies each hank has enough material to tie between 6 to 12 flies. Most salmon flies are tied on aquarium tubing to as not to damage the leader line. You've been asking for a Magnum Dyed Pearl for your magnum musky and pike baits. 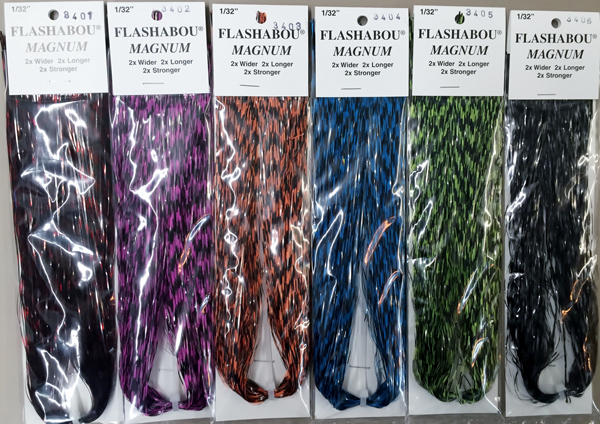 Well now stock all 6 available colours, add a little for some amazing fish attraction. Also great on your salmon trolling flies. You've been asking for a Magnum Glow Pearl for your magnum musky and pike baits. Well now we stock all 5 available colours. Add a little for some amazing fish attraction. Also great on your salmon trolling flies.